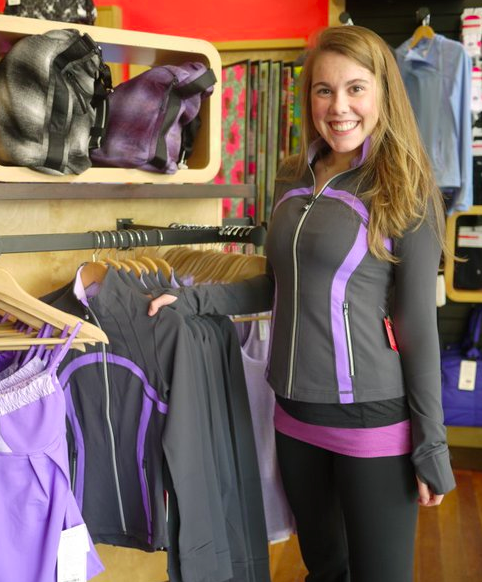 Here is a good picture of the newest Define Jacket in Coal and Power Purple that was uploaded on Thursday. I’m not a big fan of the Define Jackets personally but I think they look really sleek and structured. This particular Define seems to have a different zipper on it. It’s either the metal zip or the plastic ones that are meant to look metal or like platinum. I do like those plastic zippers on some of the jackets as it adds a bit of sparkle and bling but I don’t think I want to see those used on everything.